Our exciting interactive Dolphin Encounters allow you to engage with bottlenose dolphins at our expansive marine mammal facilities off the Caribbean Sea. You will appreciate the security of our shallow water platform attached to the saltwater lagoon in our dolphin habitat on the shores of the Caribbean Sea. Whether you're not a strong swimmer or prefer your interaction while standing in knee-deep water, you'll be enchanted by these charming, friendly and intelligent creatures on your dolphin encounter. You can hug, pet, and even kiss a dolphin on one of these activities. Our professional animal trainers will be right next to you as you interact with the dolphins, making sure you enjoy a safe and fun encounter. Our Dolphin Encounter is an excellent way for participants to interact with the charming and friendly bottlenose dolphins on a shallow-water platform without swimming. This is an ideal way to physically encounter the dolphins for children or visitors who are uncomfortable with swimming. You also will be able to snorkel with rays and sharks on this tour. Want the royal treatment? Then head for Isla Mujeres. 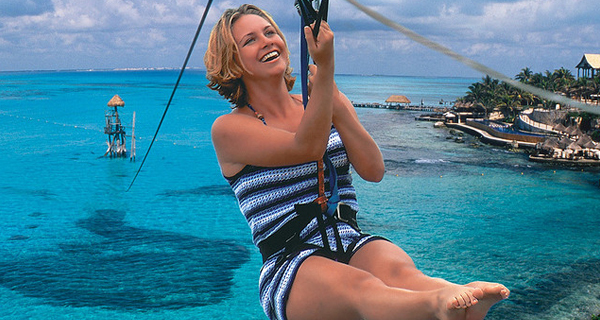 Kayaking, snorkeling, zip lining, sculpture, shopping, swimming, beachcombing, sunbathing, birdwatching, dolphin encounters, tower climbing, or long leisurely snoozes in a swinging hammock -- all here and it's all great. Cruise to the Caribbean today and pamper yourself royally. 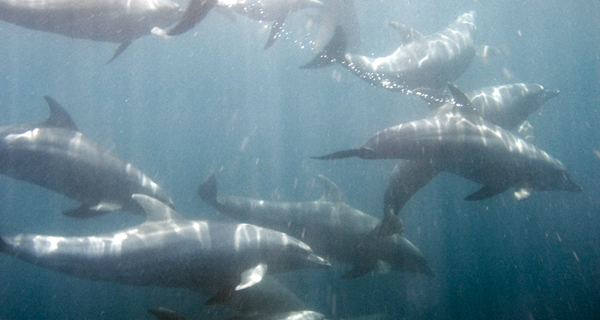 One of the true highlights of Garrafon Reef Park is the opportunity to encounter, touch, hug, and kiss real dolphins! Bring your entire family to begin a one-of-a-kind friendship with one of the world's most beloved animals! Afterwards, enjoy some of the many fun activities of the park!